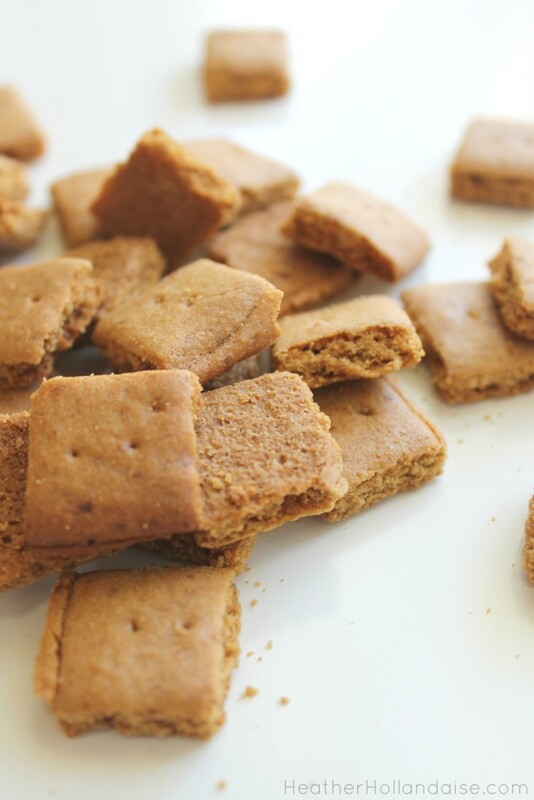 Rather than deprive myself while the rest of the family enjoys the messy goodness, I just whipped up a batch of gluten free graham crackers to indulge right along with them. They turned out so yummy, and being gluten and refined sugar free, are so much better for you. So I just did away with the store-bought all together. My daughter really loved them, and wanted to make some “baby graham crackers” for her and her sister. So we broke out our beloved Funbites cutter and made a whole batch of minis just for them. These are perfect for packing up to take with us on the go. We have also had probably way too much fun creating other fun treats with them. I’ll be sharing those over the next few days. You are going to want to make sure you have these babies ready! 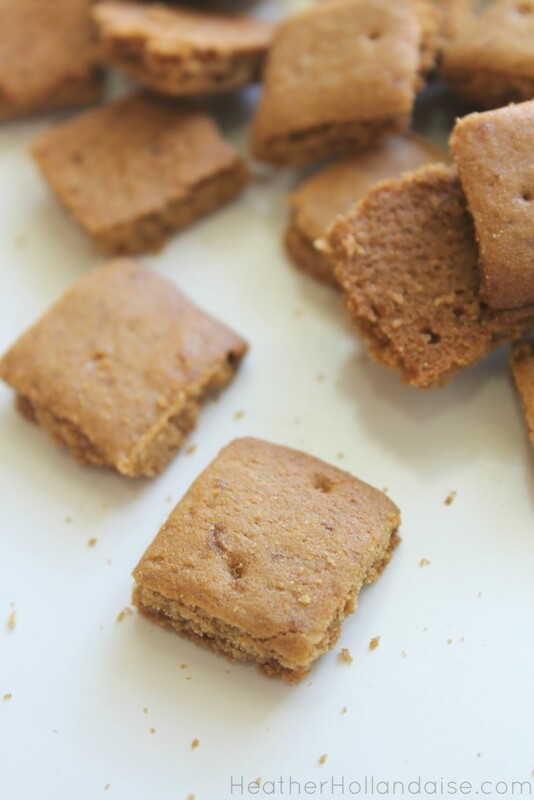 You and your kids will have a blast making their very own bite-sized graham cracker cookies! 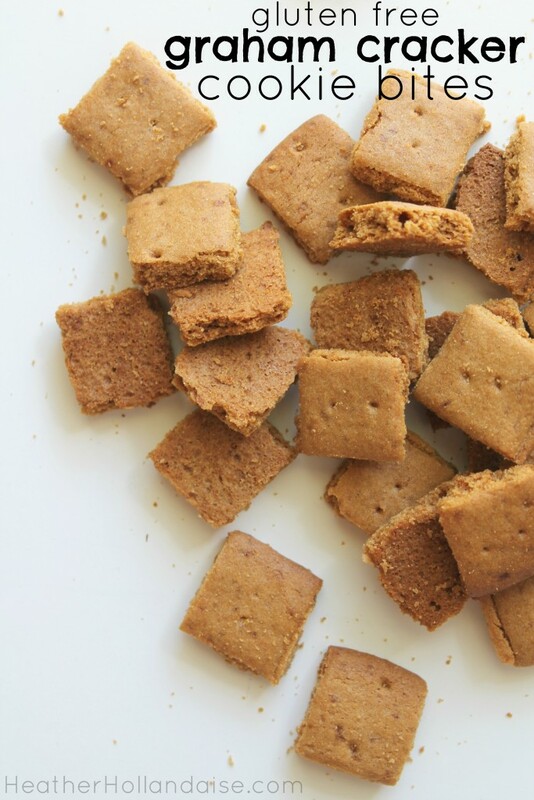 These bite-sized graham cracker cookies are perfect for the little ones. Free from gluten and refined sugar, they are much better than store-bought. In a stand mixer or food processor, combine flour, sugar, baking soda, and salt. Place dough between two sheets of parchment and onto a baking sheet. Roll dough to about ⅛ of an inch thickness. Poke 1 or 2 holes into each square. Cook 15- 20 minutes until edges turn golden brown.